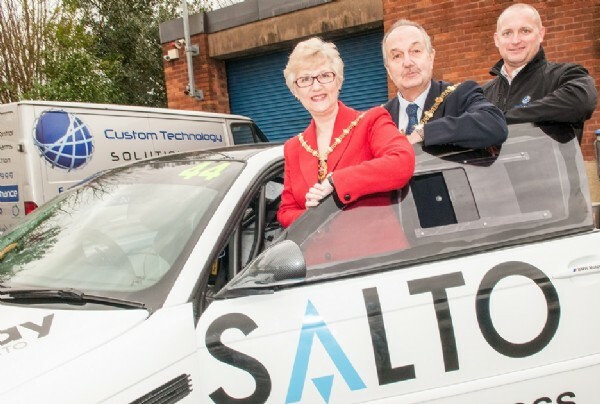 Custom Technology Solutions welcomed the Mayor of Dudley, Councillor Steve Waltho, along with Mrs Jayne Waltho, to our premises on Thursday 25th February 2016. The Mayor popped in to see us after we extended an invitation to him at an event to mark the launch of the Dudley Civic Awards, an event sponsored by us for this year. 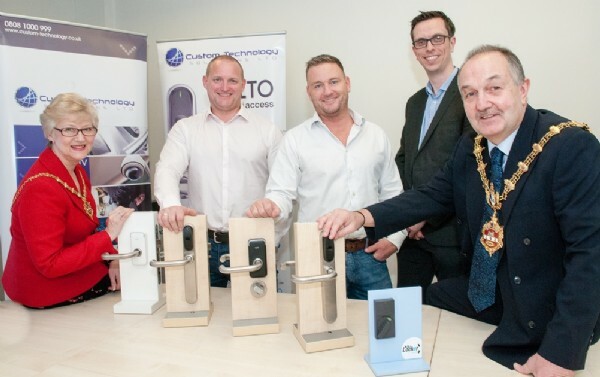 The boroughs first citizen got to see the range of solutions offered by Custom Technology Solutions, including Salto access control, CCTV and alarm systems. He also chatted with our staff to understand a little about the solutions employed by our clients and how we use new technology to ensure that our customers remain secure. 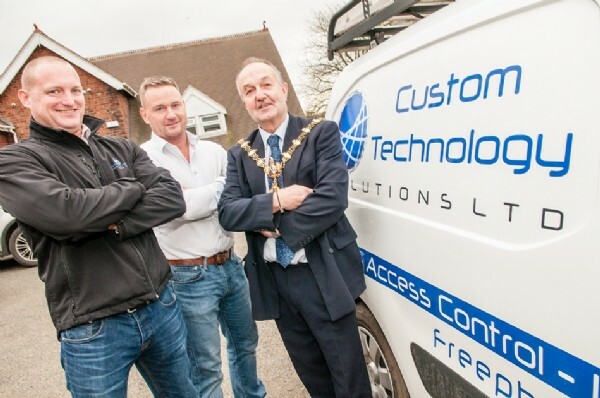 "We’re delighted with all the support we have received from Custom Technology Solutions for this year’s Mayor’s Ball and Civic Awards, and I’m grateful for staff taking the time to show us around. "This is such an important initiative to reward the people in the communities who go above and beyond and we were only too happy to be involved.